Posted by liverpoolchamber in Legislation, Policy. With the European elections less than three weeks away Liverpool Chamber of Commerce is urging business leaders to consider the implications of EU legislation on UK business and the UK economy. Posted by liverpoolchamber in Policy. It is vital to the interests of the UK that the European Union (EU) succeeds as a competitive and growing economy. However the EU is increasingly facing a number of challenges to boost growth and employment across all member states. For example, the challenge to reduce and improve the quality of regulation; the challenge to complete the single market and make it work; and the challenge to deliver more flexible labour markets. All of these have a direct impact on businesses in the UK. The aim of this regional survey is to determine how much these challenges are impacting on our members in the Northwest. We’re also looking for examples of specific legislation that have affected your business that we could use as case study material in our lobbying campaigns. Please complete the survey online here. The deadline for responses is Friday 15th May 2009. We intend to launch the results in advance of the forthcoming European elections on 4th June. A copy of the final report will be available to all members on request. This survey will be one of the most important pieces of work that Chambers of Commerce in the Northwest will be doing collectively. Your help in completing the survey will be greatly appreciated. Posted by liverpoolchamber in British Chambers of Commerce, News, Policy. Last week’s budget was top of the agenda at the British Chambers of Commerce’s annual convention held yesterday, 27 April 2009, as business leaders and politicians debated the best ways to find the ‘road to recovery’ for the economy. The conference, held at the International Convention Centre (ICC) Birmingham, was opened by British Chambers of Commerce (BCC) president, Neville Reyner and BCC chairman David Frost. Birmingham City Council leader Mike Whitby also welcomed the conference to the city. The scene was set by David Frost as he outlined how the government could do more to support business and free up stifling regulation, legislation and taxation. Business minister Shriti Vadera, then responded to the BCC’s concerns and suggested ways in which the latest budget, announced by Alistair Darling last week, will extend to support businesses. Baroness Vadera was then rebutted in a speech from the shadow business secretary, Kenneth Clarke, who suggested that the Conservatives will offer businesses greater levels of support if they come in to power at the next general election. A panel discussion was also held with the assembled politicians and business leaders, where questions came from conference delegates on topical issues such as gender pay audits, empty property rates and car parking tax. The Liverpool Chamber of Commerce was at the conference to forward members’ concerns to policy makers at the BCC, and to pool opinion with other chambers from across the country. The issue of car parking tax was particularly focused upon by the BCC, who are currently collecting signatures for an online petition. Chambers from around the country united to voice there concerns to the panel of politicians and business leaders, in an effort to stop the work place parking levy (WPL) coming into effect across the country. Posted by liverpoolchamber in Environment, Events, Liverpool, Policy. Liverpool Chamber is continuing its pledge to ‘Give businesses the green edge’ by supporting a Green Business Day being held in Liverpool city centre as part of Liverpool’s Year of the Environment 2009. The event will take place on Thursday 7 May, to coincide with European Small and Medium Enterprises (SME) week 2009. The week will see a huge variety of events taking place across the European Union. A giant marquee in Liverpool One’s newly completed Chavasse Park will act as the focal point for the day, with a green business fair taking place inside between 10 am and 4 pm. Merseyside SMEs are being invited to come along. Environmentally focused businesses from across Merseyside will be demonstrating easily applicable green measures any company, individual, school or community group could take to save the environment. The seminar will see a number of key speakers, including Emansys principal consultant and head of the Liverpool Chamber environment committee, Stephen Sykes. Businesses attending the workshop can learn about environmental management systems, waste management applications and a range of practical eco-friendly measures. There will also be an opportunity to join Liverpool Chamber’s Environment Club. We hope the event will encourage companies to take a Year of the Environment Green Pledge or go further to become a Green Business Ambassador. In order to become a Green Business Ambassador, a business must have achieved a standard, won an award or have outstanding green credentials before applying for the title. Successful ambassadors will be able to raise their profile, and that of Liverpool as a leader in the tackling of climate change. Posted by liverpoolchamber in News, Policy. Maresa Molloy, Liverpool Chamber’s Head of Policy commented: “We are pleased to see £250m investment in jobs and training and the planned investment in green, creative and digital technologies will have a positive impact on the city if we can get the money to come through quickly enough. Support for the emerging ‘green economy’ was on Liverpool Chamber’s ‘wish list’ and we welcome the increased funding. Low carbon energy and advanced green manufacturing is a growth area in Merseyside. The ‘car scrappage’ scheme will stimulate demand in the in automotive industries that is good news for both Halewood and Ellesmere Port and the thousands of jobs dependant on the success of this industry. “The Chancellor appears to have understood that it will be business driving the economy out of recession, and there are some good measures that reflect this. Posted by liverpoolchamber in Liverpool, Policy. Liverpool City Council’s Development Plans Team are undertaking a ‘Call For Sites’ exercise. It involves inviting landowners, developers, businesses and members of the public to submit details of sites that they consider suitable for housing development, or re-development in the period up to 2024. Sites suggested will be assessed against a number of criteria as part of the SHLAA. This in turn will be used to inform planning policy used to guide future development in the city. Submission formas are available on the Council’s website. Alternatively they can be obtained from the Council’s planning reception at Ground Floor, Milennium House, Victoria Street, Liverpool, L1 6JF. The Members Council here at the Chamber is currently seeking nominations for new Council members. The Members Council represents the collective interests of Liverpool Chamber’s membership. The key role of the Council is to enable discussion and debate. Council members are a key source of intelligence for the Policy Team and are expected to identify issues facing the private sector and aid policy formulation. This year we are particularly keen to welcome nominations from women, ethnic minority groups and people with disabilities to ensure Council reflects and is representative of the wider business community. If you are interested in applying for a position on the Council, please fill out the nomination form linked below and return it by 30 April 2009. Interviews will be arranged in May. Nominations are sent to Council in June for approval, and the election takes places at the AGM on 9th July. Posted by liverpoolchamber in British Chambers of Commerce, Legislation, Policy. 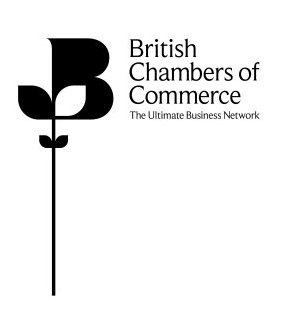 The British Chambers of Commerce (BCC) has today released its 2009 Burdens Barometer – the first time it has been published during a recession. The Barometer shows that the cumulative cost to business of new regulation since 1998 has risen to £76.81 billion. This is a jump of over £10 billion from last year. There is a positive note to this year’s Barometer with 18 regulations since 1998 now producing a total saving for business worth £1.4 billion. This is evidence that the government’s better regulation agenda is beginning to do its job. However, considering the current financial pressures on many firms, much more needs to be done to immediately reduce the overall burden. With business cash-flow being severely squeezed and many good firms going bust, the uncomfortable truth is that despite three Acts of Parliament designed to reduce the regulatory impact, the steady increase continues. In 2007/08, companies were hit with 19 new regulations costing them £1.75 billion. Working Time Regulations 1999. To date this has cost business £17.8 billion with a recurring annual cost of £1.8 billion. Vehicle Excise Duty (Reduced Pollution) (Amendment) Regulations 2000 (EU Pollution Directive 98/69/EC). To date this has cost business £10.4 billion with a recurring cost of £1.2 billion. “Businesses are facing the toughest economic environment for a generation. Company cash-flow is being squeezed and unemployment is growing as a result. Posted by liverpoolchamber in Environment, Policy. Chamber members (and non-members) are invited to our next Environment and Energy Committee Meeting. 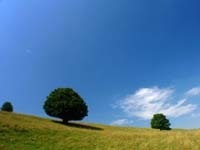 Liverpool Chamber is a partner in Liverpool City Council’s ‘Year of the Environment 2009’. As part of this we are encouraging local businesses to become more involved in environmental issues, and how the Chamber can become a greener organisation. Please note the change from the usual venue. This month we look forward to welcoming you as part of the FACT Climate for Change exhibition. At the end of the meeting you are invited to stay for some lunch and networking. Posted by liverpoolchamber in Business, Policy, Travel. Liverpool Chamber welcomes the City Council’s decision to suspend the implementation of extended car parking charges for the city centre, pending an inquiry. The idea is simply madness and will do nothing but harm to the evening and night time economies of Liverpool city centre. We have opposed the proposal from the start, and encourage all our members and readers to do the same. The decision has still to be finalised, so it’s important to keep up the pressure. Emailing Council Leader Warren Bradley. Remember, your council representatives work for you and have a duty to listen. And if anyone from the City Council would like us to take part in the inquiry, just email Jack Stopforth, our chief exec, to let us know where and when. Read more about this and the campaign to stop it on Liverpool Confidential.